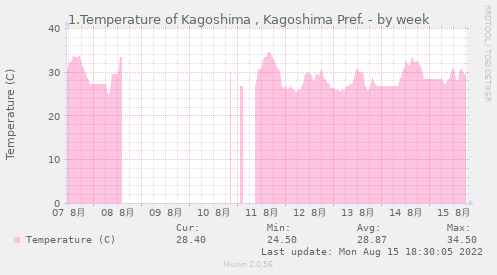 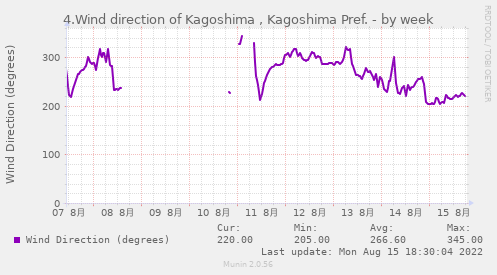 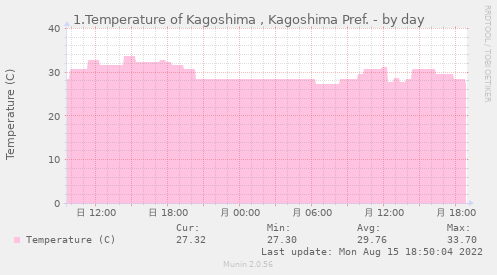 1.Temperature of Kagoshima , Kagoshima Pref. 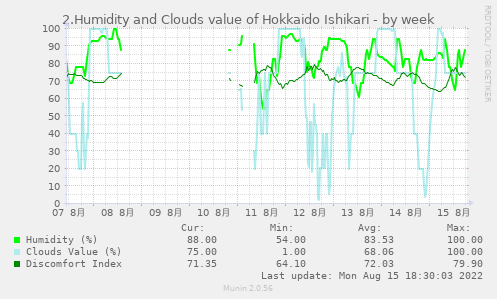 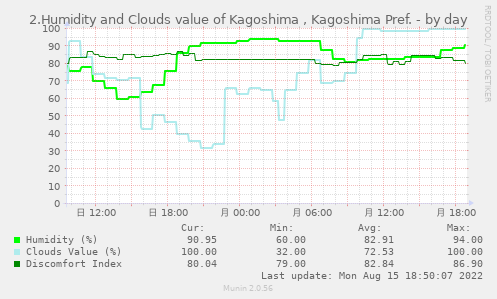 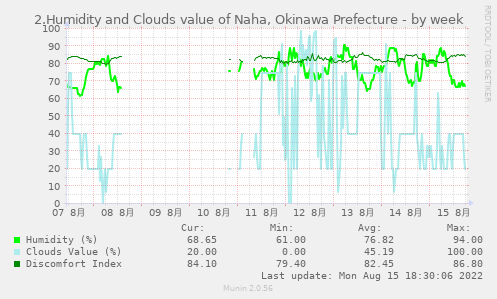 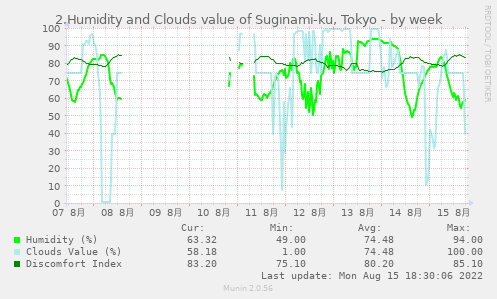 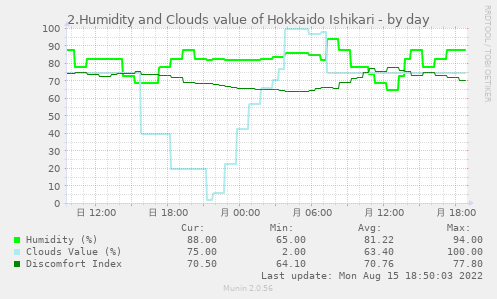 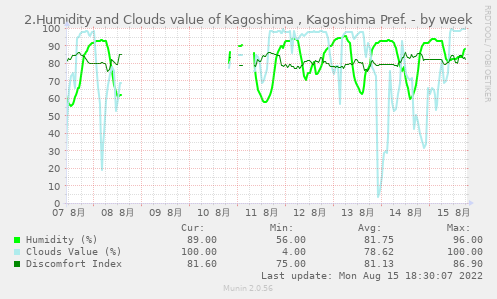 2.Humidity and Clouds value of Kagoshima , Kagoshima Pref. 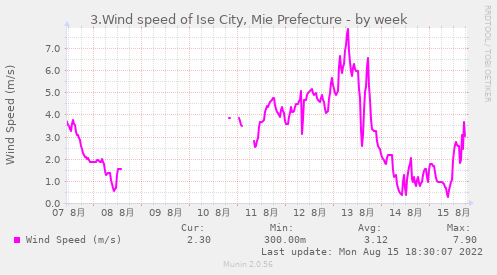 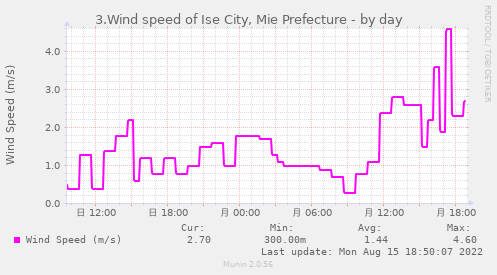 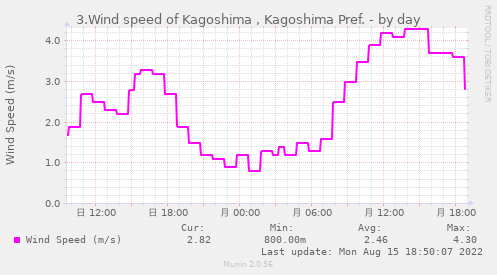 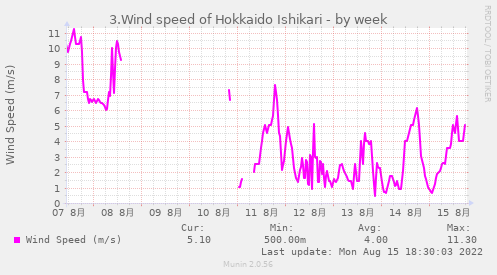 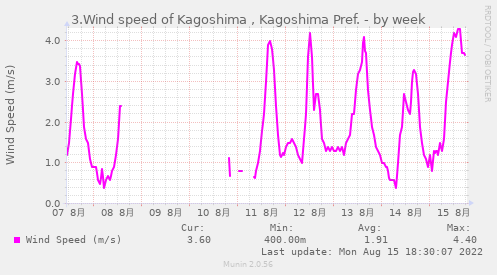 3.Wind speed of Kagoshima , Kagoshima Pref. 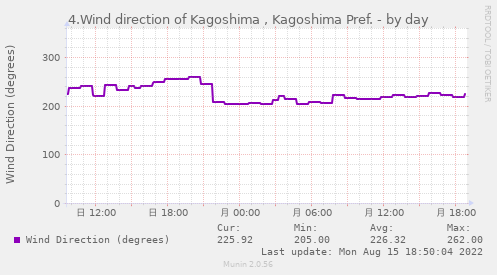 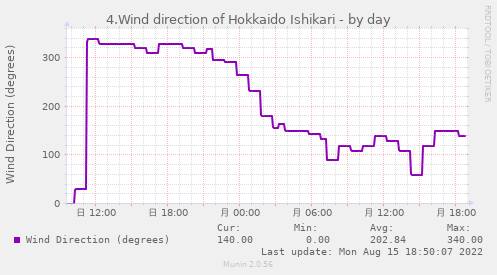 4.Wind direction of Kagoshima , Kagoshima Pref. 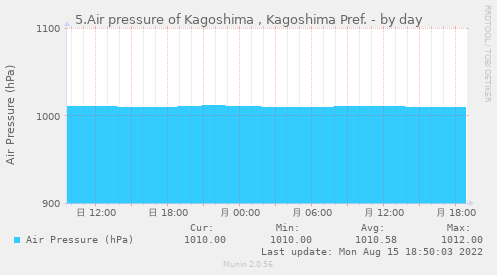 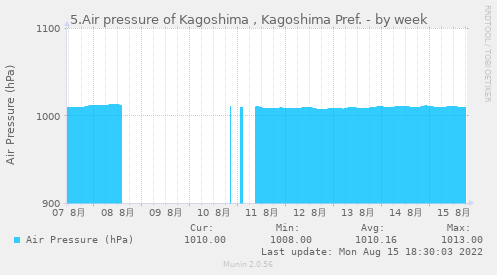 5.Air pressure of Kagoshima , Kagoshima Pref. 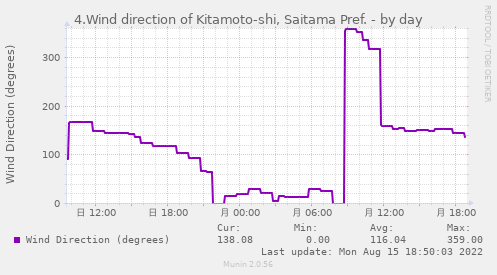 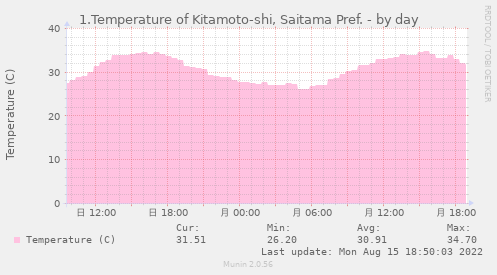 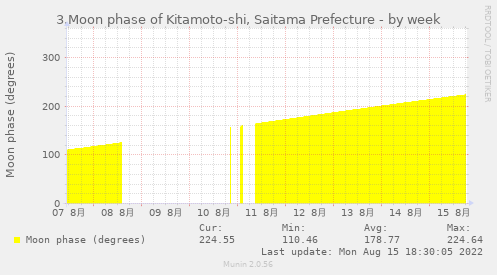 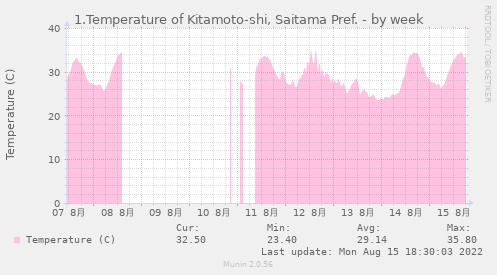 1.Temperature of Kitamoto-shi, Saitama Pref. 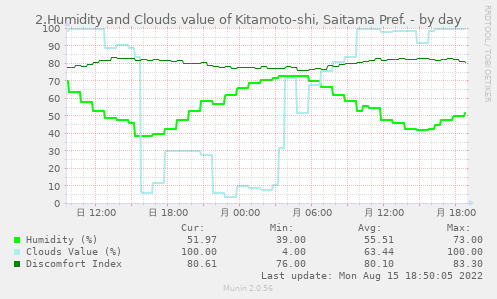 2.Humidity and Clouds value of Kitamoto-shi, Saitama Pref. 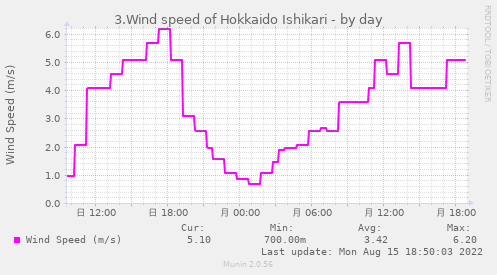 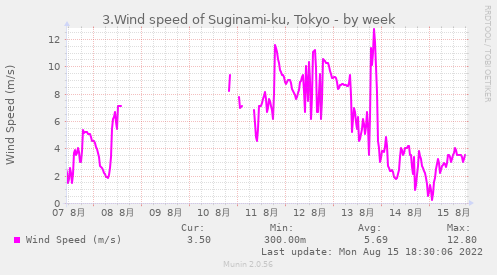 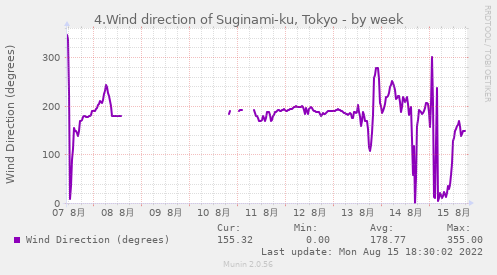 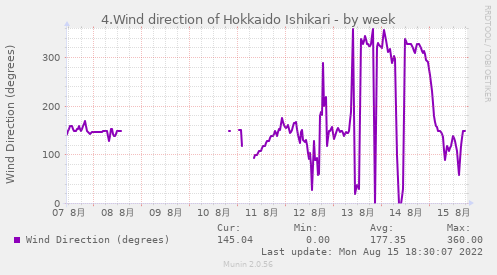 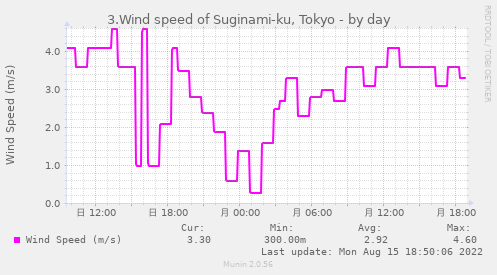 3.Wind speed of Kitamoto-shi, Saitama Pref. 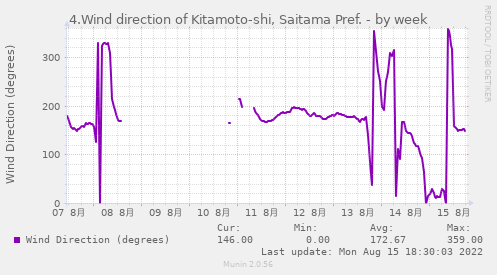 4.Wind direction of Kitamoto-shi, Saitama Pref. 5.Air pressure of Kitamoto-shi, Saitama Pref. 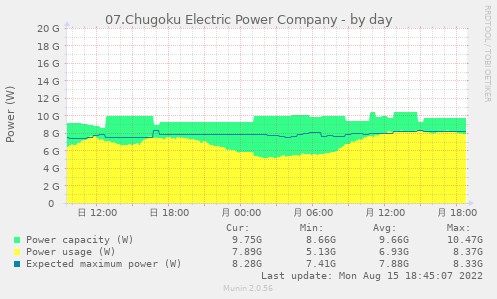 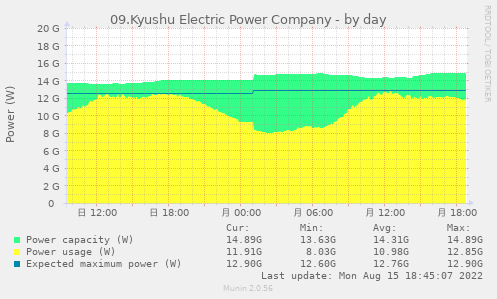 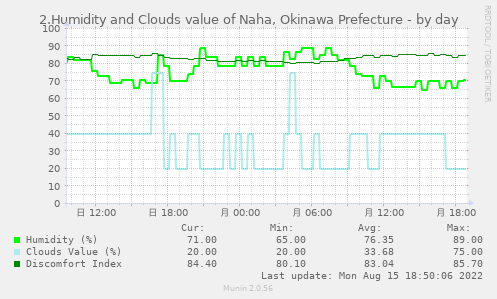 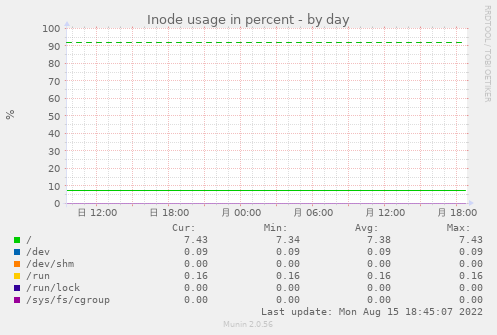 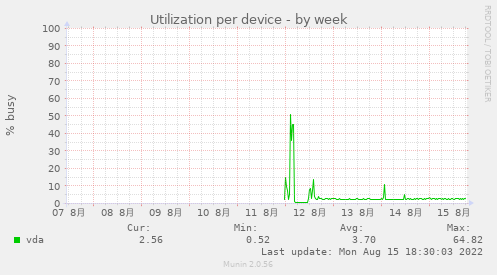 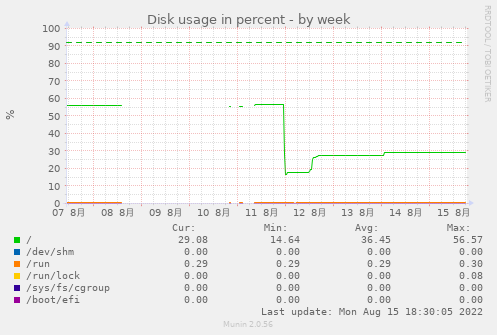 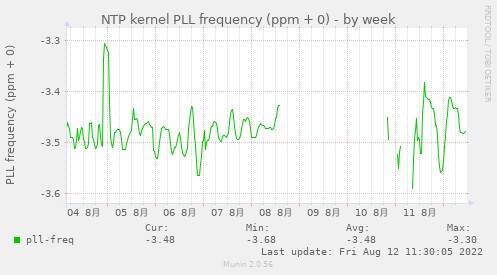 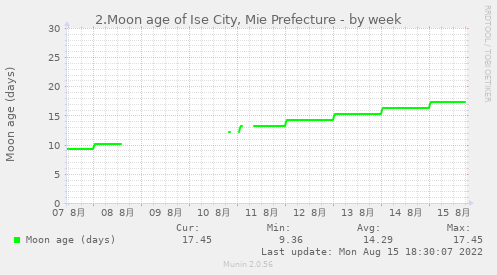 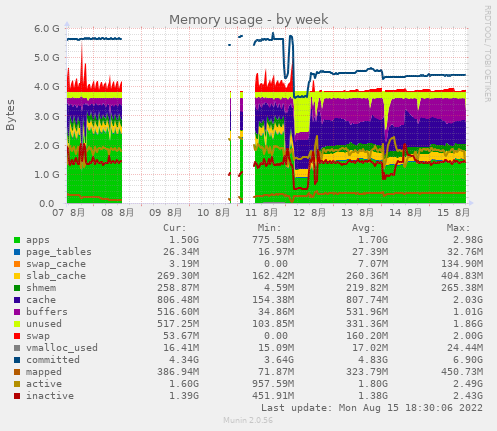 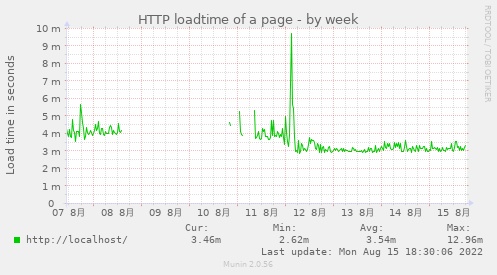 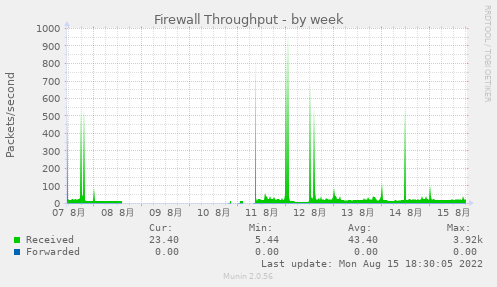 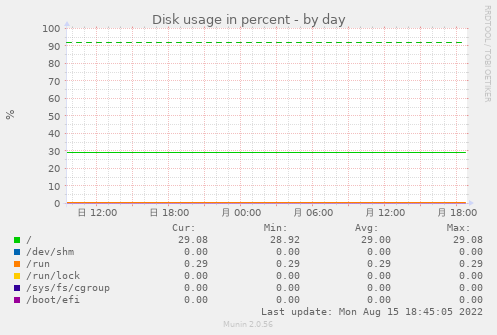 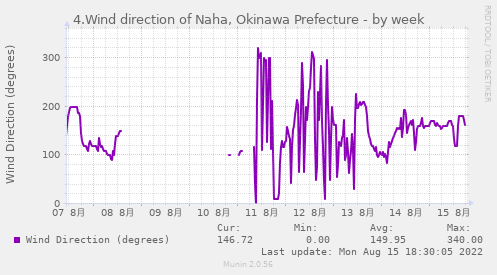 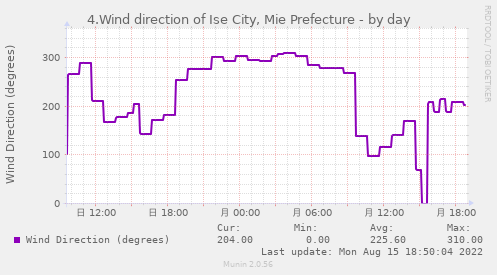 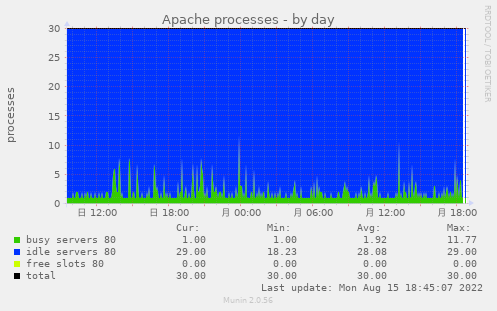 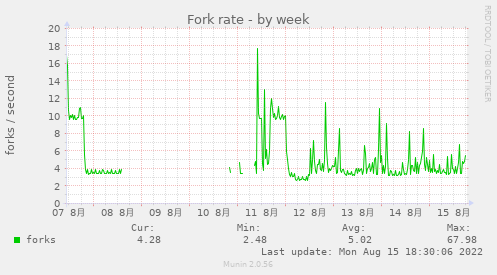 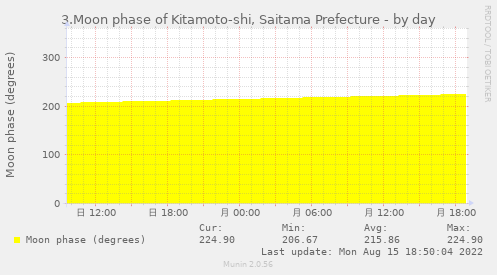 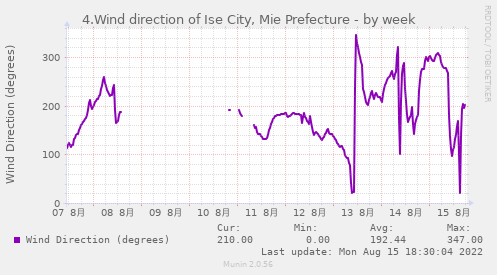 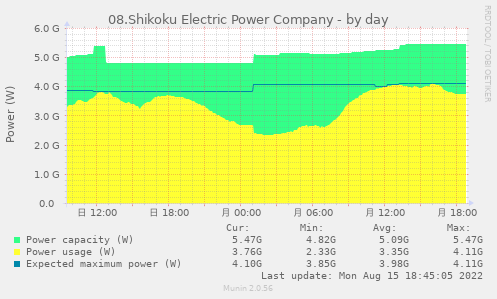 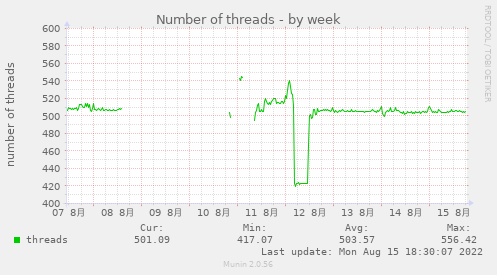 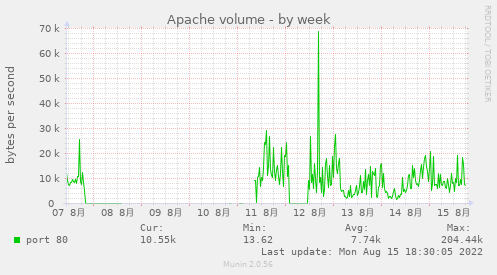 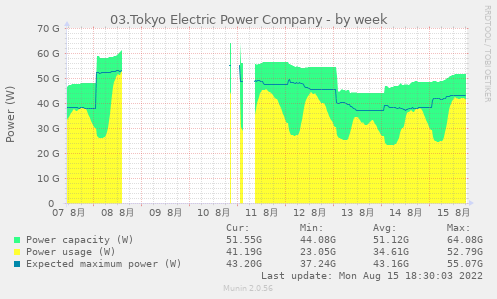 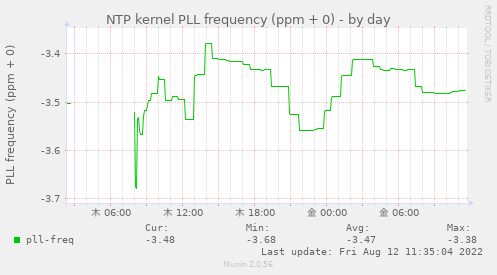 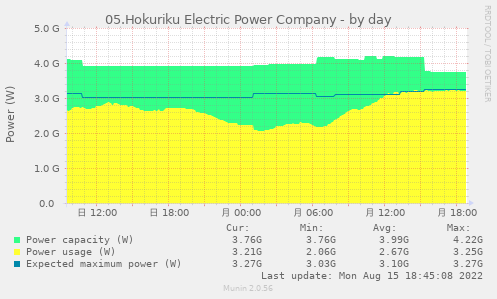 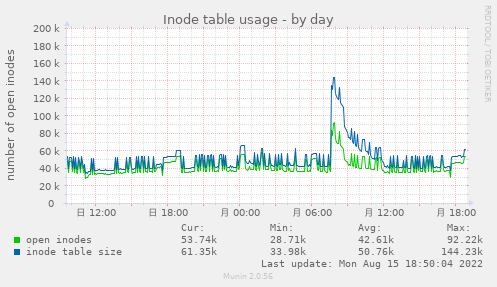 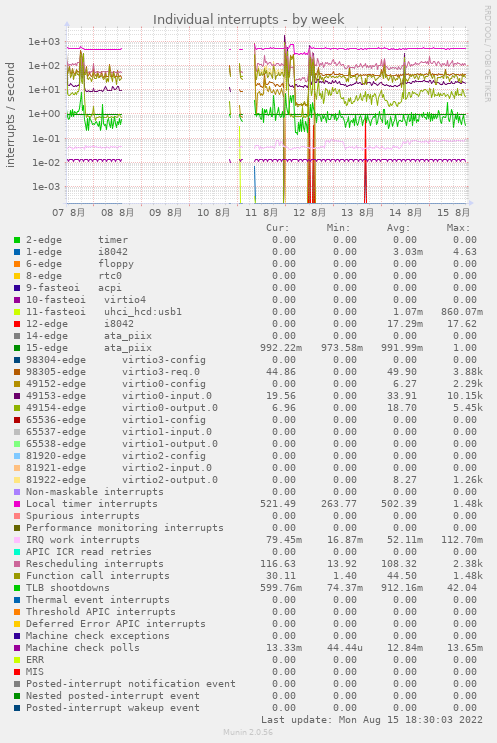 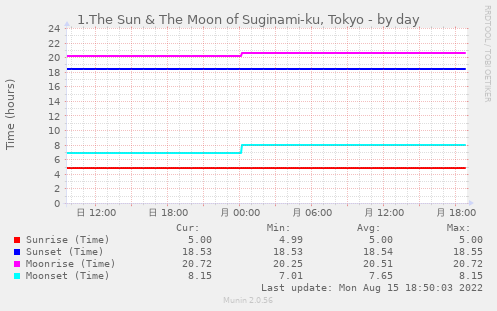 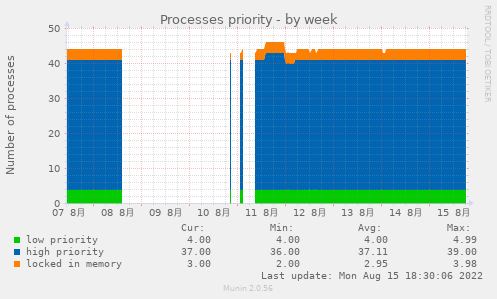 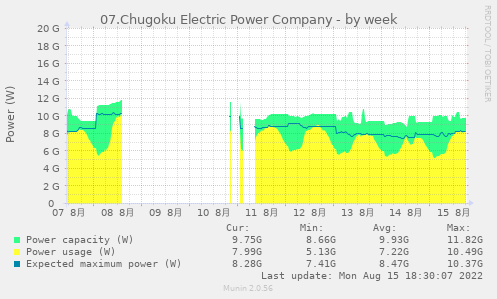 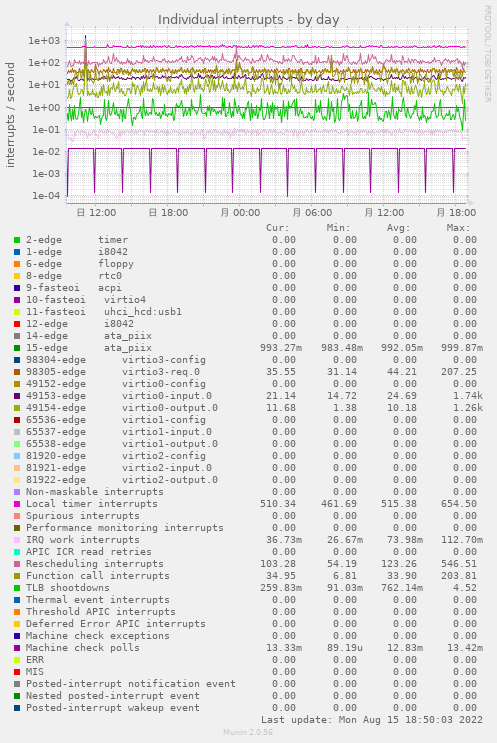 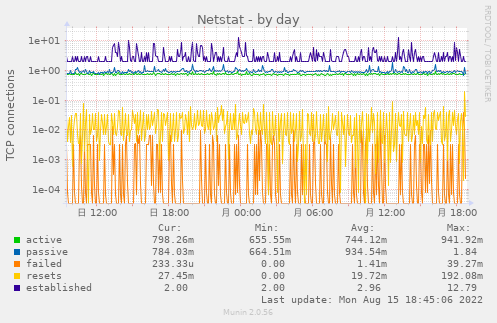 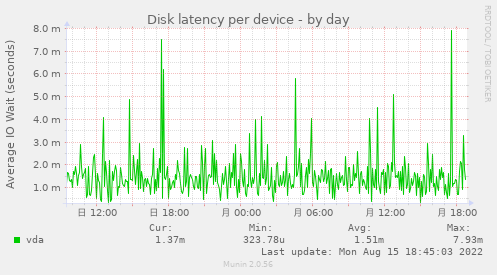 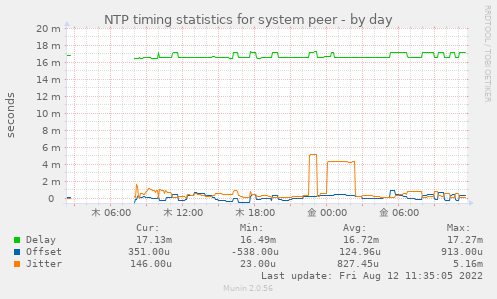 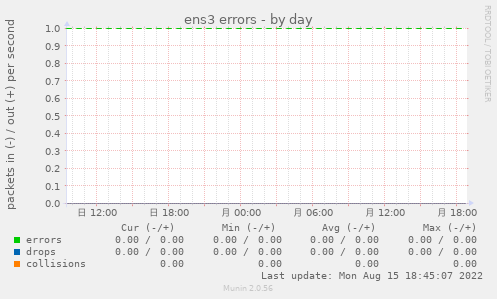 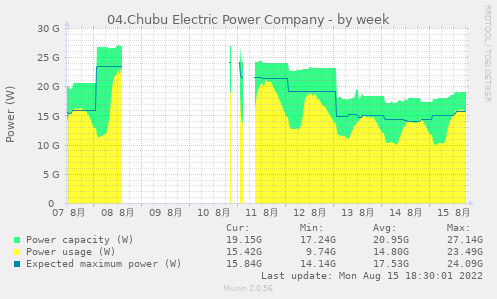 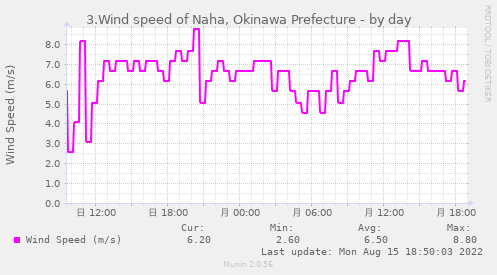 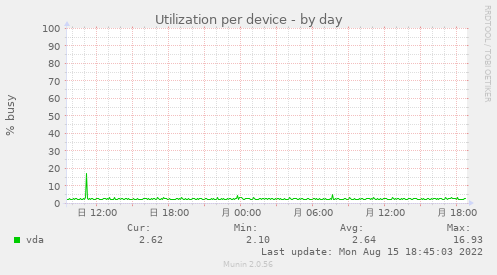 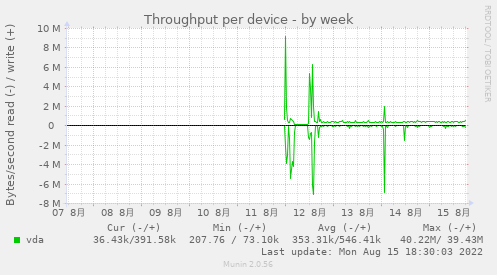 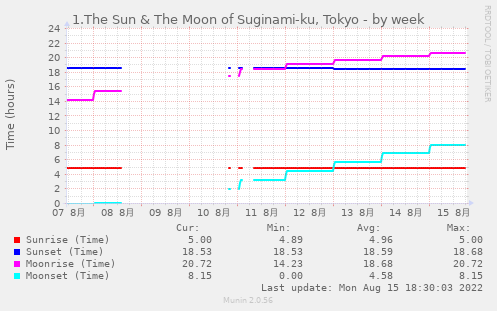 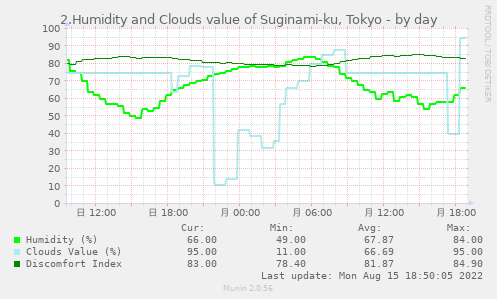 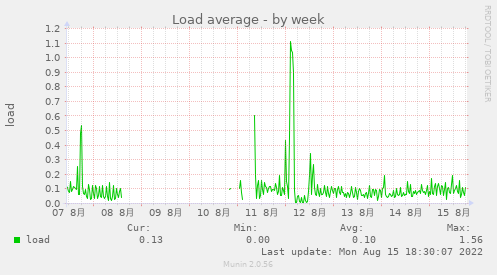 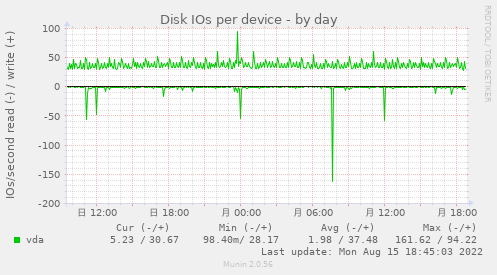 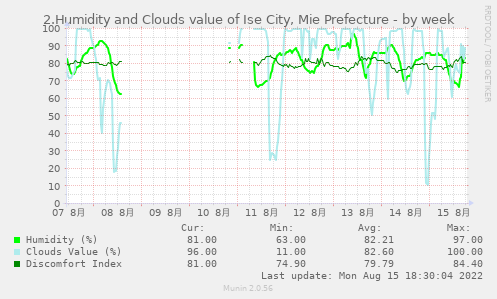 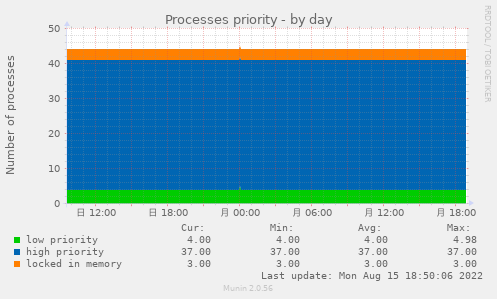 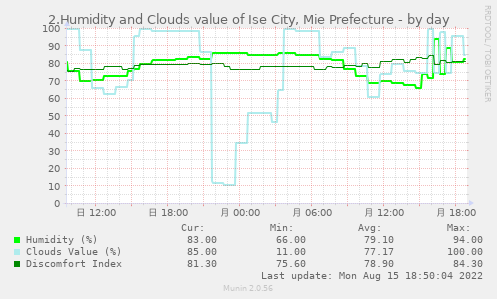 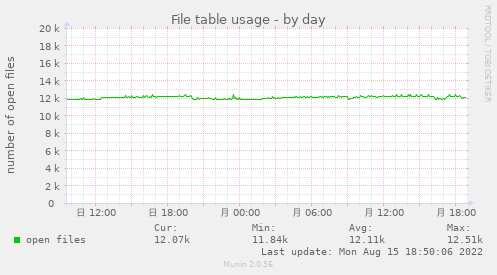 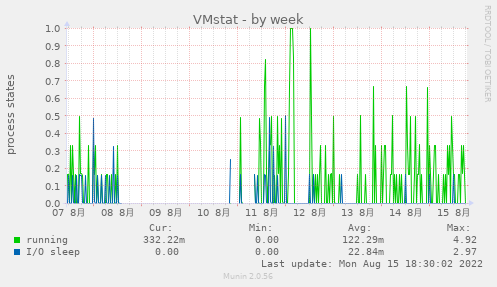 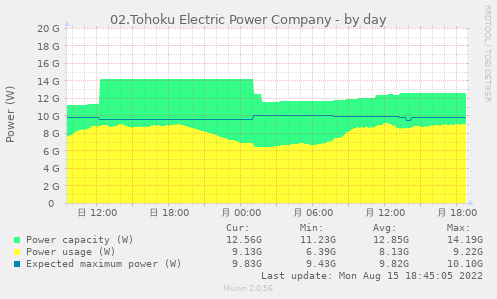 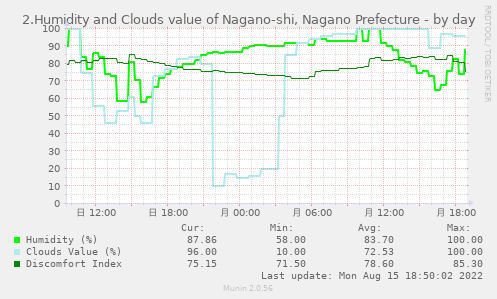 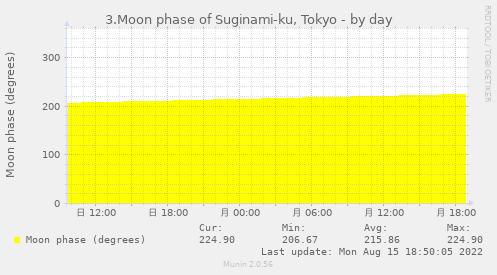 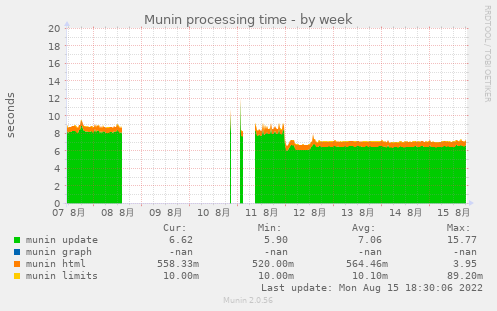 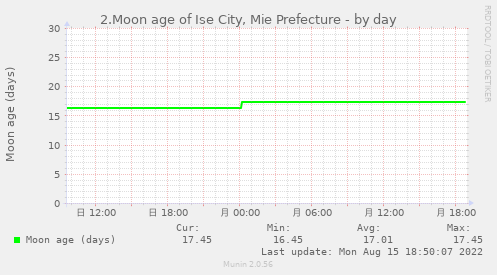 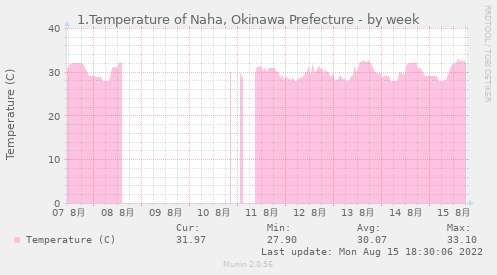 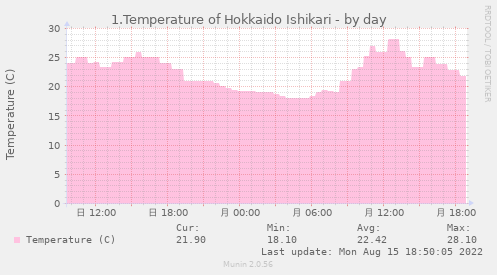 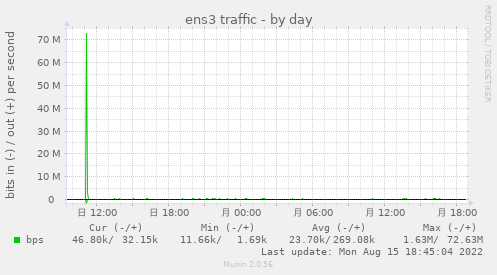 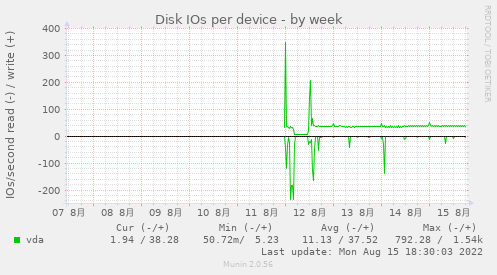 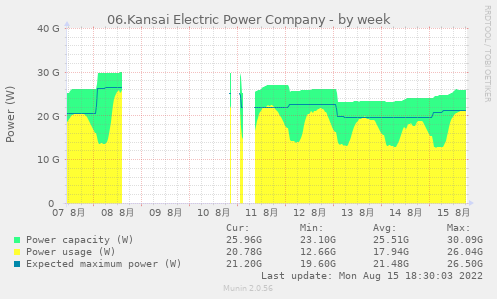 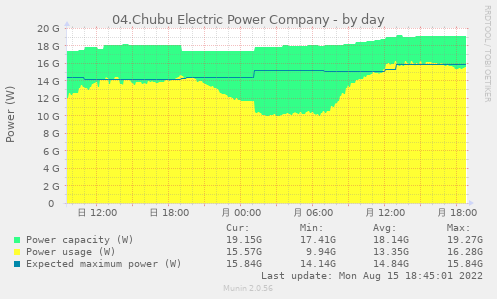 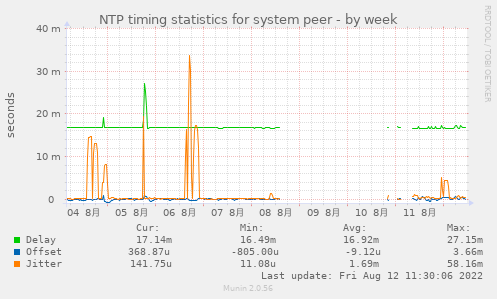 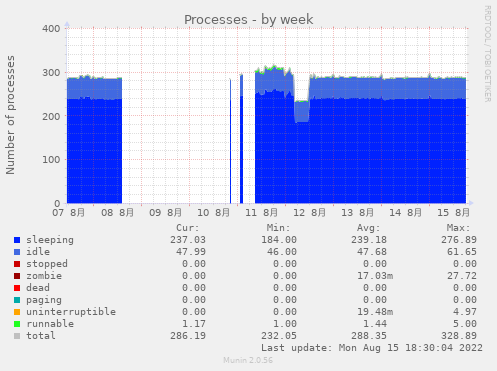 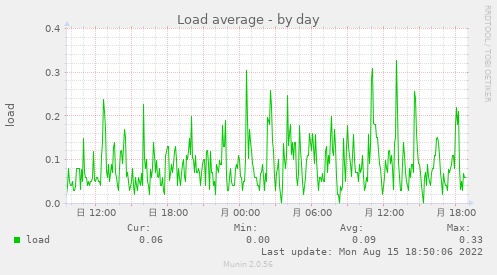 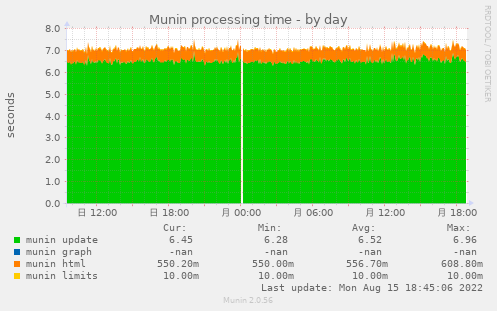 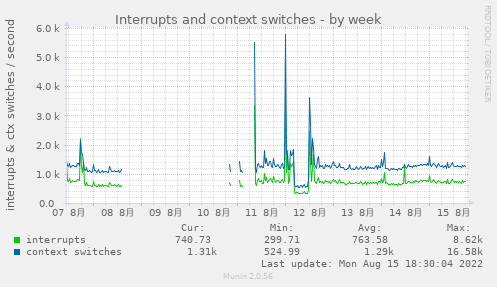 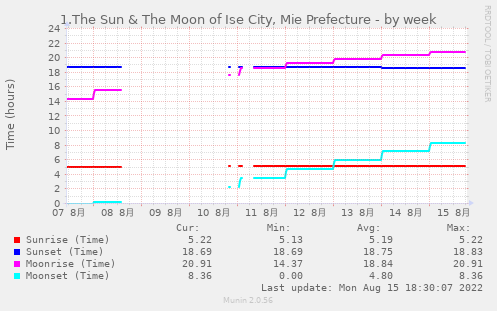 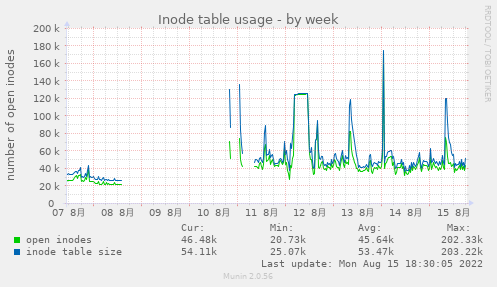 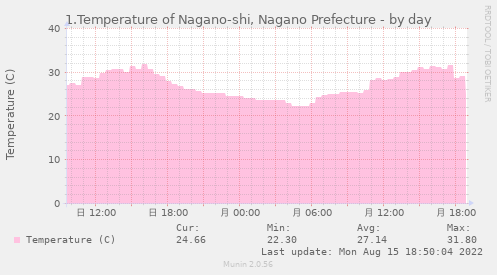 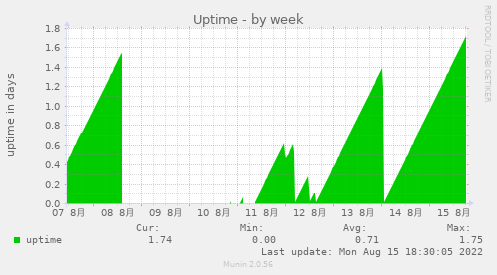 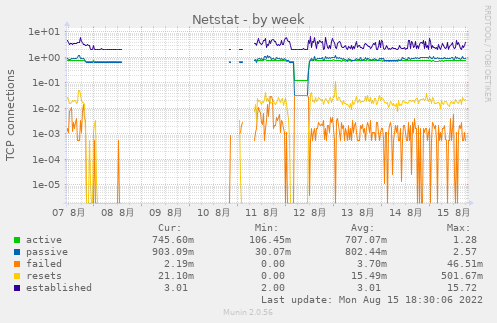 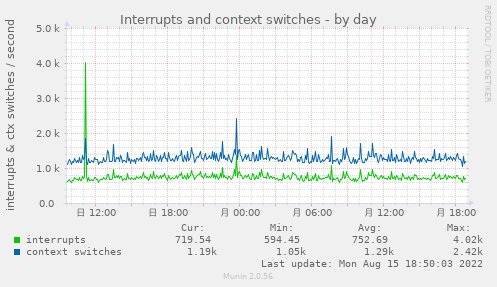 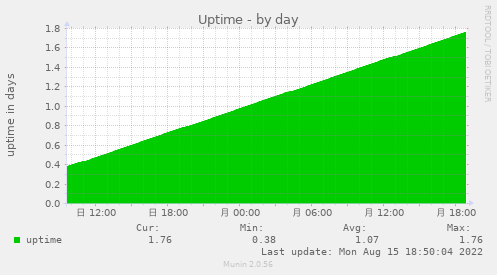 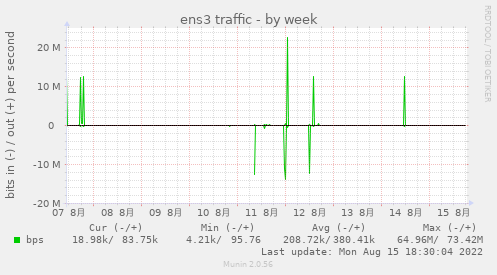 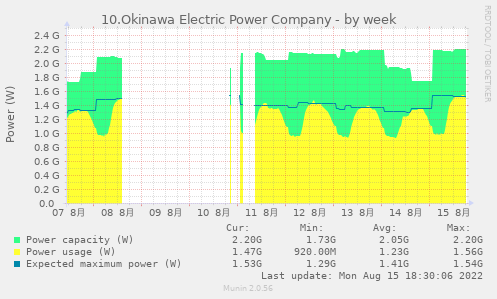 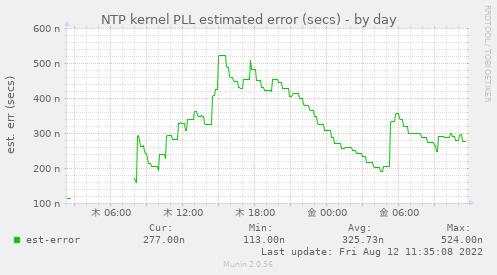 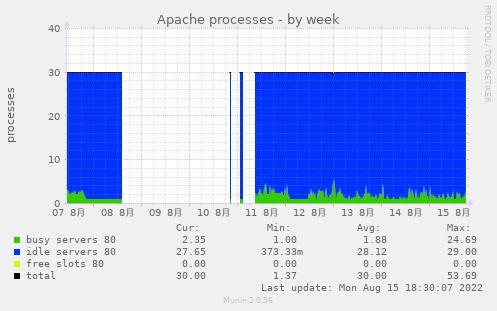 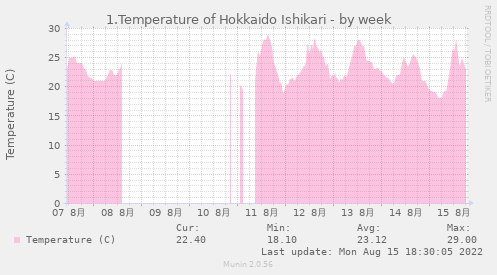 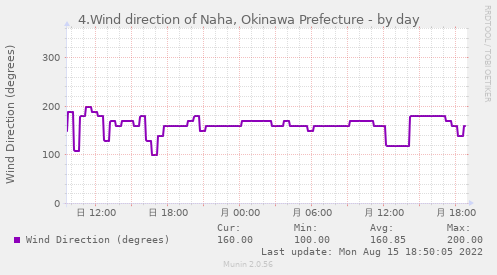 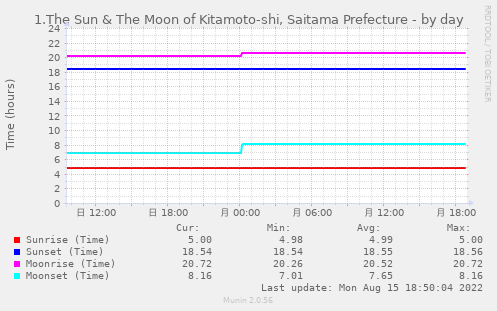 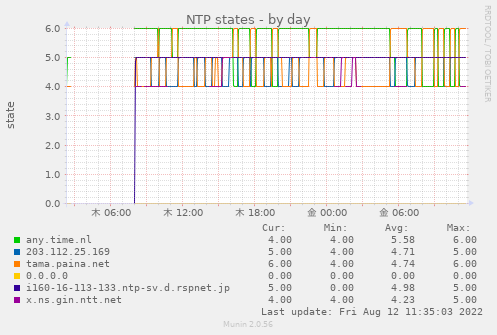 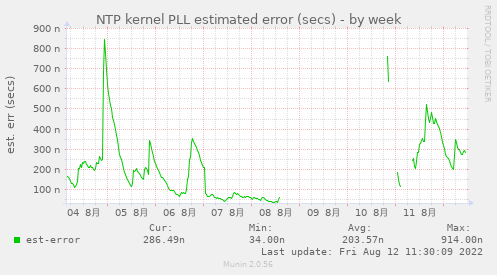 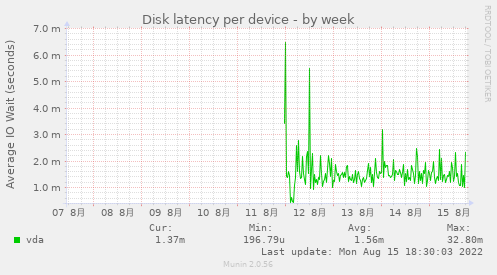 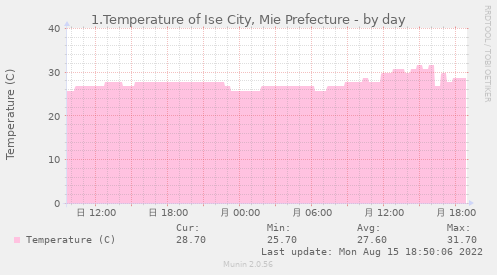 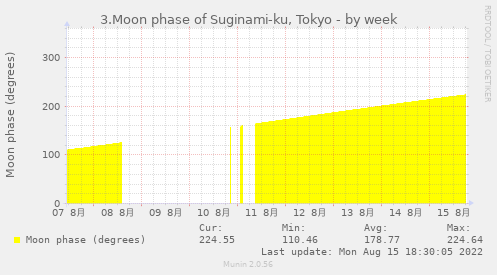 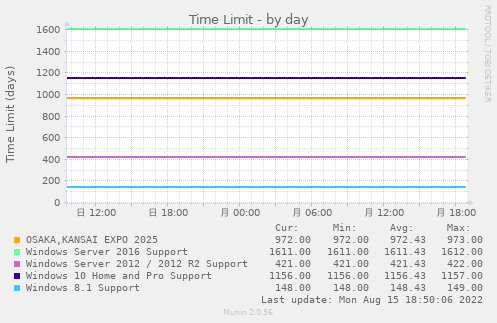 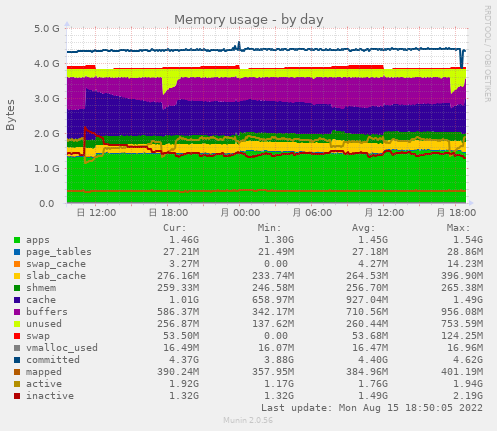 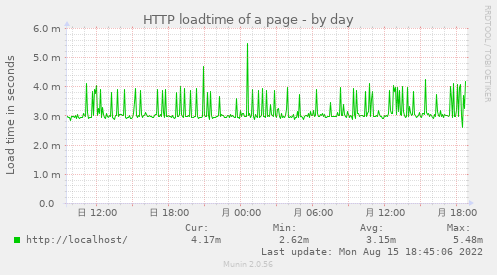 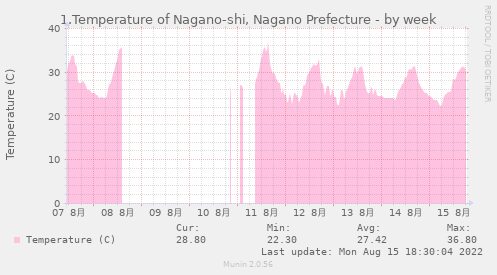 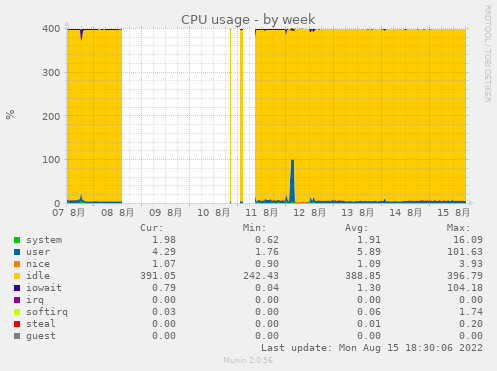 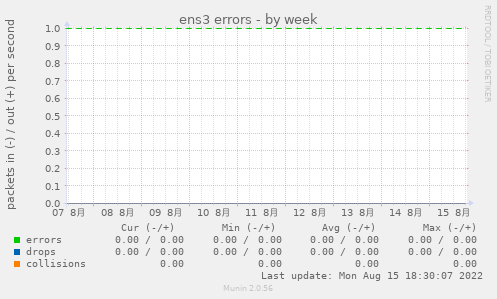 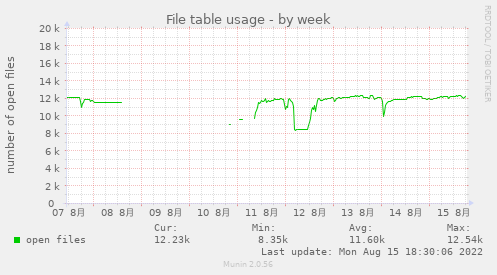 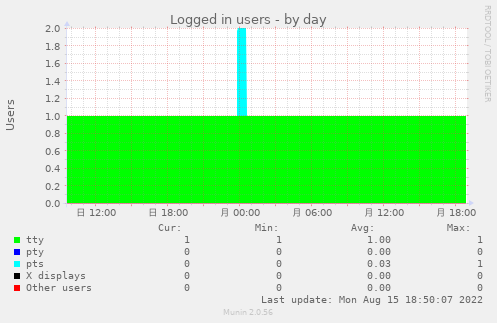 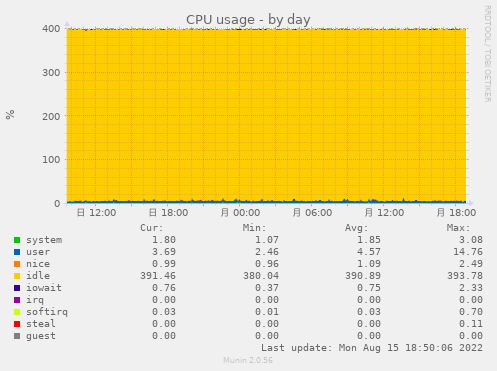 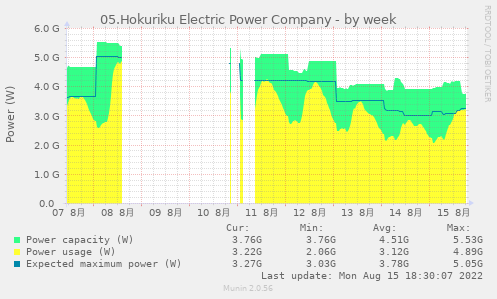 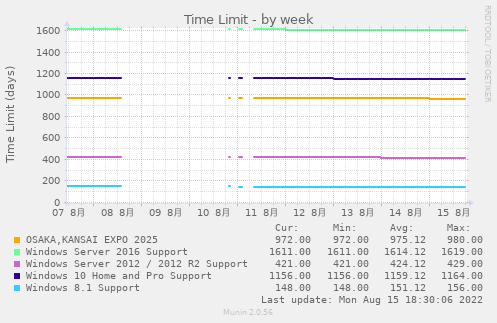 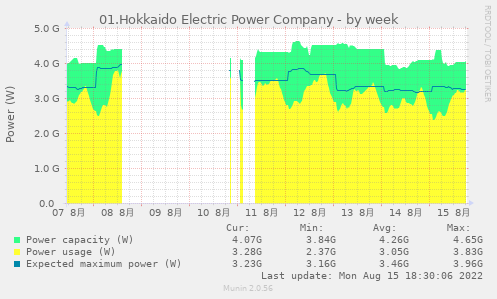 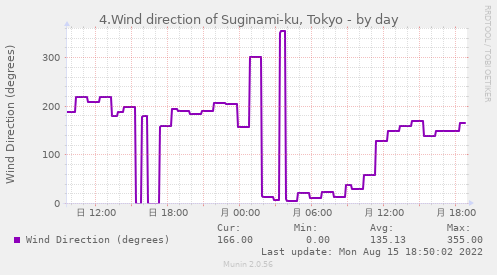 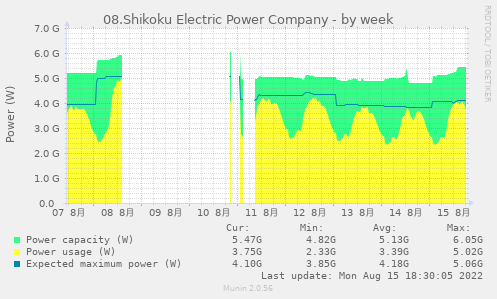 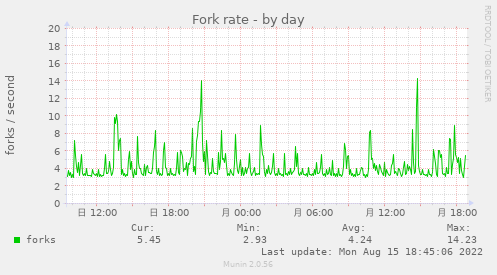 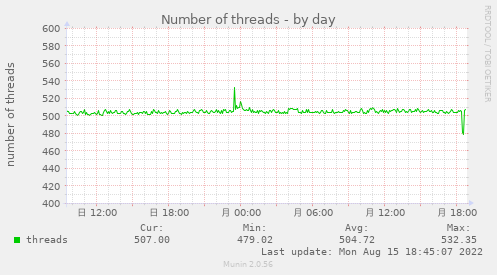 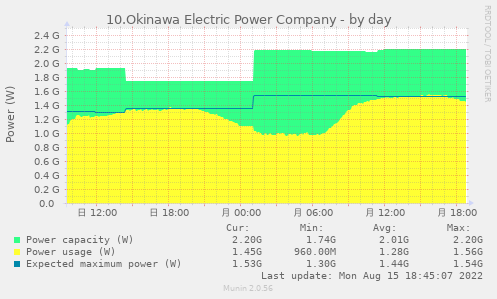 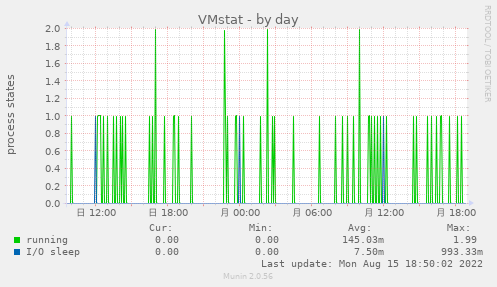 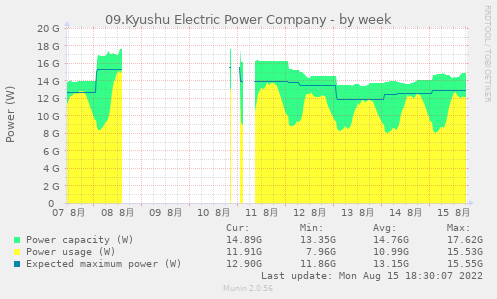 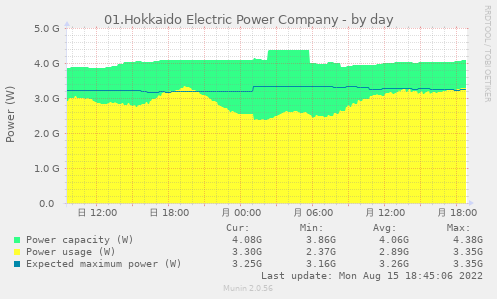 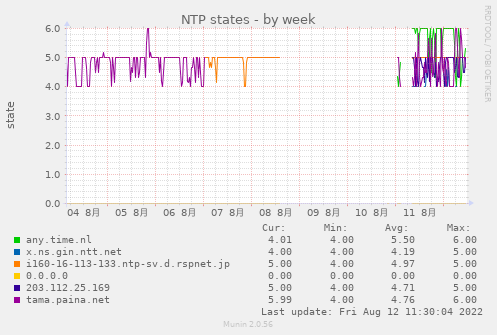 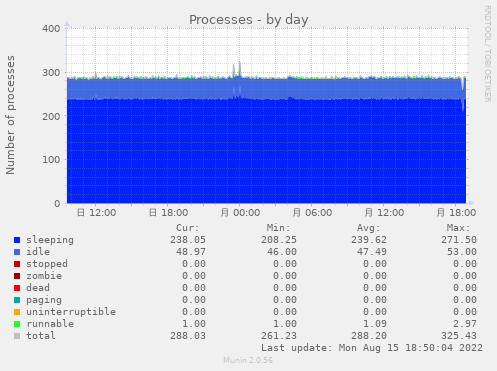 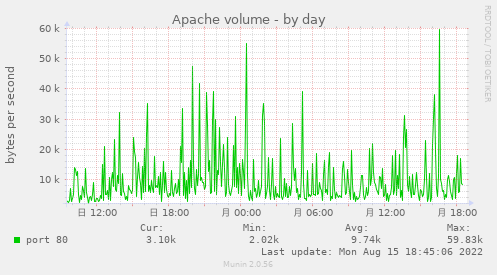 This page was generated by Munin version 2.0.37-1ubuntu0.1 at 2019-04-20 23:30:20+0900 (JST).